One of the biggest reasons people reject things that are different is because of fear. This does nothing to help inclusion in the workplace. Do everything you can to create positive connections between your employees. Truly celebrate when the team accomplishes something and call attention to the fact that they were able to come together. Seeing how the inclusiveness directly relates to results will erase any fear people may have had. Just hiring a diverse group of people isn’t enough. Remember, it’s diversity AND inclusion. There needs to be a sense of belonging in your culture. People should not have to change who they are to fit in, so make sure you’re creating a space where people can be themselves. This is an ongoing process that might require various approaches, so consult others for best practices and see what adjustments can be made. Creating an inclusive culture is not solely the responsibility of human resources. In fact, it is not solely the responsibility of anyone’s. It is everyone’s responsibility to play a part in creating a culture of belonging. It starts with an understanding from leadership and continues through each employee across the organization. After navigating and surviving more than a decade of downward spiral, Roz A. Gee was shaken to the core that she actually was the undeniable proof of her own story. Today, as The DA (Dream Ambassador) she commissions others to embrace a breakthrough reality that they are—The Evidence. Before embarking on the journey into full time entrepreneurship, she worked with corporate giants as General Electric, Northrop Grumman, AOL, Time Warner, AT&T, and IBM. 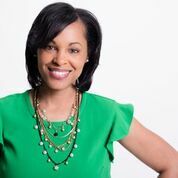 As a media consultant and contributor, she has had the privilege to write and publish articles featuring Steve Harvey, Serena Williams, Janice Bryant Howroyd (ACT-1 Group), Lori Greiner (Queen of QVC/ABC Shark Tank) and TD Jakes. Diversity and Inclusion, Building Ideas and Growing From Within. A Brief Review.